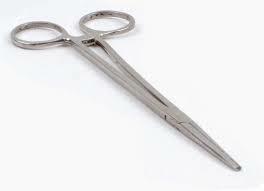 Great value stainless steel forceps. To assist with holding, de-barbing and removing of hooks and flies. Positive single handed locking, serrated jaws and blunted point.